Along with our annual ATHENA Awards, The Business Forum offers a wide range of networking events for our members and guests, including a monthly luncheon and our annual golf outing "The Good, The Bad and The Ugly." 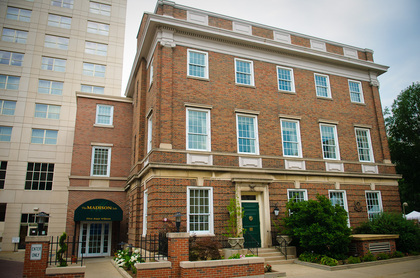 The Business Forum hosts nine monthly networking luncheons annually, scheduled the first Thursday of each month at The Madison Club during January, February, April, May, June, September, October, November and December. These monthly programs attract 60-100 professionals from the Dane County community and provide valuable networking opportunities followed by a program on a variety of topics with a diverse array of speakers. Each year we honor our ATHENA Young Professional recipient at our November luncheon, and honor our scholarship recipients at the May luncheon. Advance registration is required for the luncheon meetings. Monthly luncheons are promoted electronically via email invitations, monthly newsletters and The Business Forum website. Sponsor a Business Forum program and showcase your products, services and unique strengths to an influential market. For more information on sponsoring a luncheon, please contact our Program Sr. Chair Lori Huston-Dinga.